Located in the county of Somerset in southwest England, Weston-super-Mare is a seaside town on the Bristol Channel. With a population of approximately 80,000 and lovely coastal setting, there is always demand for property in Weston-super-Mare. At My Home Move Conveyancing we have been improving our understanding of local markets since 2002, which allows us to offer our clients in the area a specialist, fixed fee conveyancing service. When looking to buy or sell property in Weston-super-Mare, you must instruct a lawyer to complete the legal side of things on your behalf. 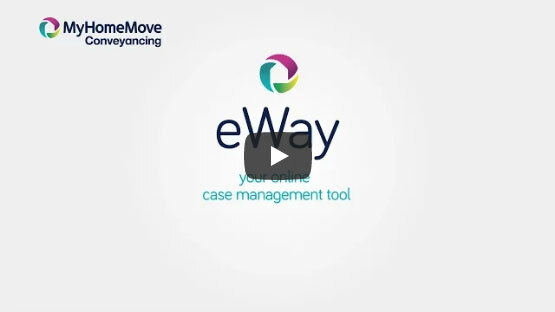 My Home Move Conveyancing can offer you an award winning level of customer service that complements our dedicated and easy to use technology and detailed knowledge of the local market. Our specialist fixed fee conveyancing service comes with no hidden costs, meaning you can budget for exactly how much you’re going to pay from the outset, with no nasty surprises to worry about. Moreover, if for some reason you don’t end up moving, you won’t pay us anything in legal fees. We supply each of our clients with a dedicated conveyancer who will look after your case from start to finish, regularly updating you on any progress and giving you a consistent point of contact to deal with. At My Home Move Conveyancing we have provided our conveyancing service to homebuyers in and around areas like Weston-super-Mare, from the roads tucked behind the waterfront Beach Road to Uphill on the other side of the golf course to spots further out of town such as Clevedon and inland areas including Backwell and Nailsea. The average house price in North Somerset is £200,637, while in Weston-super-Mare during the past 12 months the overall average sale price was £183,239. There was an even spread in respect of the popularity of different types of property, with semis being involved in most sales at an average price of £186,235. Terraces went for an average of £156,905, detached properties for £257,443 and flats for £119,200. Despite archaeological evidence that points to settlement of the local area since the Iron Age, Weston-super-Mare really rose to prominence as a seaside resort in the 19th century when it was connected to the rail system. The area continued to grow until the second half of the 20th century, when international tourism expanded and less people holidayed in the UK’s traditional seaside spots. There has been recent regeneration and revitalisation, and Weston-super-Mare remains a lovely part of the country’s coastline. The M5 links Weston-super-Mare to the national motorway network, heading to Bristol in the north and Exeter in the south. The town’s proximity to Bristol is a draw for many, with trains available that take just 20 minutes to reach Bristol Temple Meads. The M4 motorway can be picked up from Bristol, heading east towards London, while a train to the capital takes around two and a half hours. There are a range of good schools in the area for families with children to consider, with primary options including St Mark’s C of E, Mead Vale Community School and Hutton C of E on Church Lane. Secondary choices include Queensway’s Priory Community School and Westhaven School in Uphill. All properties in Weston-super-Mare will fall within one of the following council tax bands.